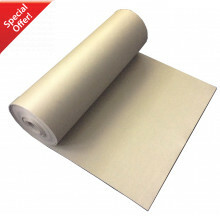 5mm IsoBase R50 is designed to provide excellent acoustic sound insulation with ease of installation. The product is designed to be used as a resilient layer underneath T&G chipboard type flooring, along with a suitable ceiling treatment, as shown in the diagrams below. To comply with the requirements of the Approved Document E 2003, IsoBase R50 sound insulated separating floors have been tested in accordance with BS EN ISO 140-6:1998 and rated in accordance with BS EN ISO 717-2:1997. Further improvements can be made by placing 19mm Gypsum based plank over the IsoBase R50 before installing the 22mm T&G Chipboard. Sometimes customers want to add acoustic insulation but keep the existing floorboards especially if the property has period ones. This can often be problematic. A very simple, but nominal, improvement can be achieved by adding the 100mm acoustic mineral wool into the floor cavity, stapling the VL-65 Acoustic Membrane over the joists before screwing back the boards. This does not, however, add very much isolated mass to the floor so improvements will not be ideal. Improvements in airborne noise will be better than improvements in impact noise. Fitting a strip of our high density resilient floor tape along the tops of the joists before screwing down the floorboards will help a little with improved impact noise transfer especially if you use screws sparingly. It is not 100% ideal as there will be screw fixings but it is better than doing nothing. Ideally acoustic mineral wool, or even better the 2FTex acoustic quilt should first be inserted between the joists. If using mineral wool in this application it would be much better to use the 140kg version and do not go any lower than the 60kg version. A much better solution which will greatly reduce impact and airborne noise transfer is to use the system shown below. This involves an isolation layer of IsoBase R50 along with heavyweight damping sheet VL65 to form a much heavier and isolated acoustic sandwich. The top layer of chipboard is floated on the R50. The floorboards can be screwed, or nailed, through the T50 and into the top chipboard layer but these screws or nails must not penetrate through into the green IsoBase layer or the acoustic isolation will be breached and the system will not work effectively. Attention to detail should be paid at the room perimeter. You need to make sure the flanking strip keeps the chipboard from touching the wall and also make sure the floorboards are not touching the walls or the skirting board. If you take up an existing carpet with good underlay and want to replace it with laminate or engineered floor you are likely to have complaints from downstairs. In situations like this you really need a double isolation layer, one between a base board and the joists and then another between the laminate floor and the baseboard floor. This would involve not only this product but also using a high performance wood/laminate underlay between the two sections. These solutions above do raise the floor height which may be a problem but they are necessary because you are likely to not be treating the underside of the ceiling below. The above solutions are also in some ways easier if you do not want to lift the existing base floor for any reason. Obviously you need to lift the floor to install mineral wool or 2FT80 in the cavity space and if this is the case then there are a few options for reducing the overall floor height rise. If thinner solutions are desired you could consider using our high density resilient floor tape or the joist caps directly on top of the joists and then floating the base floor of T&G chipboard on this material. It does away with the 5mm IsoBase layer and the 18mm chipboard base thus saving around 11–17mm depending on which product you use.